So as we all sit and watch the horror unfolding in front of us about the slaughtered show jumper, and the sadness in Virginia, I wonder how we can ever get out of this mess. Sure, more legislation, but most people doing these things aren’t really scared of misdemeanors and jail time. Then you have to force authorities to chose between rapists and animal abusers for precious and overcrowded lock down space. As we watch the consequences of closing the three legal slaughter houses in the US, (which the HSUS takes a large amount of responsibility for when they send their lobbyists to the fancy hotels on Capitol Hill and spend weeks and millions of dollars campaigning), we are witnessing criminals not really being choosy about how to fill their orders for horse meat in the illegal underground slaughter industry – they look for the big, fat ones. There are orders for it coming in from all over the world. Most European countries have it on the menu and sell it at the local butcher shop. There are chefs that came to America from France, demanding it in their kitchens and appalled we wouldn’t provide it. http://www.theguardian.com/environment/2015/jan/09/eating-wild-horsemeat-america Not only that, our neighbors to the south are big proponents of animal sacrifice, so what then, Americans have a right to tell other cultures what they can do on their own soil? oh yeah, I guess we are entitled enough to do so, huh. 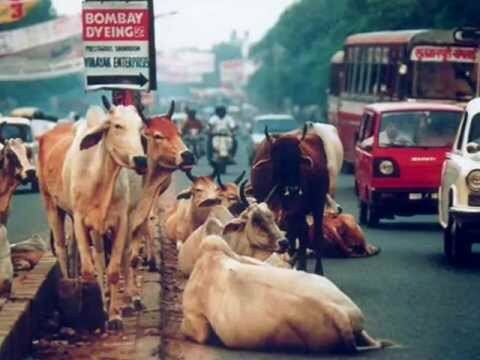 I can’t wait to see the countrymen of India, where cows are not permitted to be slaughtered for any reason, are sacred (and are permitted to tie up traffic if they feel like wandering into a street at rush hour), call out an entire worldwide industry which kills cows for bridles, boots, and saddles……no hypocrisy there at all. hihi, just steeeeerrr around us, ok? ok. Selling horse meat is big business, and now even bigger, since closing the plants spiked the price of horse meat to triple the value from a few years earlier. In Florida alone, hundreds and hundreds of horses have been stolen and butchered for their meat since 2007. This example was only in July of this year, but it didn’t hit our Facebook pages… http://www.wsvn.com/story/29617604/horse-found-slaughtered-in-hialeah-field I don’t think we can really call for an entire world to go Vegan, that just isn’t going to happen. Meat is meat, whether it comes from a cow, deer, frog, pig or horse, and most people see it that way. There are websites promoting horse meat as being healthier because of the low fat content – http://www.eathorse.com/ yikes. If everyone stopped eating animals, the animals would outnumber us and before you know it, wildlife would be getting cozy on the couch next to us and binge watching Netflix. Don’t believe me? Google ‘bear cubs come in house’, see what pops up. 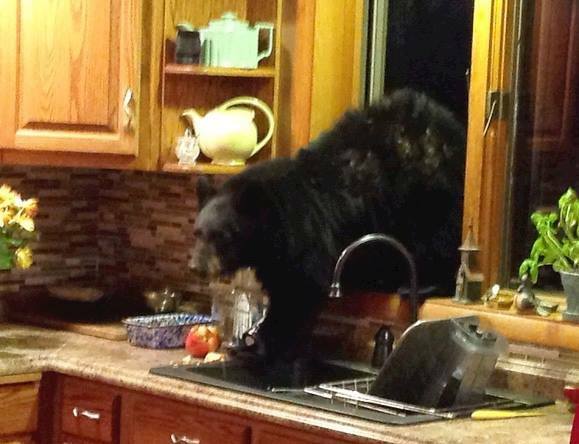 Oh wait, the gov’t thought it best to cull the overpopulation of bears in Florida this weekend, imagine the outcry on that one…. After being satisfied that bears can live peaceably with humans and no one is going to eat meat, we then would start to ask all the Lions to stop eating the Antelope. Excuse me Mr. Lion, do you mind making a better lifestyle choice for me, and stick to salads? thanks. He won’t mind, I am sure of it. Americans are the only ones that don’t see horses as livestock, but as pets, but then refuse to jump up and put a whole bunch of unwanted horses in their backyards as lawn ornaments and continue to feed them for two decades. It is not like you can take them to the store with you and shop with them, hey Pet Smart, do you mind if I bring my pet horse in to get fitted for a halter?? Horses need jobs, yet the HSUS doesn’t agree. They prefer ALL animals to NOT have jobs, but rather live in some sort of peaceful harmony with the rest of the world. The HSUS is after every sport that involves animals and will not stop with just one. They don’t even believe in K-9 units that actually save people. It is ludicrous, but they feed off of your compassion, take your money, and make everything a little more complicated for our society. I like animals more than people, too, but I have concerns about who is responsible for the unwanted ones. I even like the idea of wild horses out West, but then hear disturbing accounts about how they multiply too quickly, and eat their resources faster than the resources can grow back. Well that doesn’t sound good, where will they get food if there isn’t any? It is like me asking where am I going to get money that isn’t there?? When I even try to do the math on the horse industry in America, I am wondering if the majority of the population in America is really affected by us and our horses. There are 300 million people here! Luckily, someone else actually did the numbers…. http://www.horsecouncil.org/national-economic-impact-us-horse-industry and according to these guys 2 million people own horses but there are over 9 million horses in the US? Does that seem right? double yikes. Side note – the largest percentage of horse owners (46%) are in that 25k-75k income bracket. Think about that for a second. In the world of horses we have created monsters and kings, and everything in between, and it seems this decade has brought every story right to our desktop, with the visual impact sending most of our animal community reeling. That loss of control of our environment is evident in our actions, and we have seen a lot more people wake up, look around and go wtf? It is hard to look at all the nonsense when you just want to turn your head to find an attractive face with perfect ears, and a big round eye staring back at you. So when do you turn away? When do you give in, bury your head in the sand, and say ok, the devil wins today? Maybe I will find the strength next year to fight the poison that is destroying and dividing an industry and a way of life for so many people. The atrocities in the horse world will never go away, so waiting another year doesn’t seem so bad, does it? The overwhelming magnitude of people breaking the laws these days or breaking the moral code makes it really, really difficult for people NOT breaking any laws and trying to do the business correctly. More and more people question their own ability to stay in the business or to push for that positive influence. Major shifts need to happen here from the highest level of horse showing (like the Hampton Classic) all the way down the line to non-profit organizations stuffing animals in trailers and hiding the dirt and disgustingness in our own backyards. Money and greed is really taking front and center stage right now, and yes, I believe if that trend continues, we will wake up morning after morning to more horrendous stories. As a society, it seems so much easier to go along with all of the seedy wrong doings in our world, because of the overwhelming anxiety it causes to speak up against it. Maybe it is too hard to be part of a positive trend, the one who believes in really correct equitation, and is not afraid to go up against the top names in the business and say ‘hey you are doing it wrong, do you mind?’ Is it too challenging to show horses without outside chemical advantages, and why try to stop now when it is obviously working for so many? Realistically, there are far too many hurdles people have to go through to make this industry start turning back to producing better horsemen instead of pharmacists, or plead with organizations that have no intention or incentive to work with their members, never mind the distractions from vile people that prove to be rather large road blocks. I would have liked nothing more than to be entirely on the other side of the world when I woke up yesterday to the discovery of what happened in Virginia, and turn my head and go what a shame, however, it would have been hypocritical for me to do nothing, just sit there and say I am so sorry for those creatures. So I spoke up, used awful language, looked at the pictures, scared the crap out of myself, filled out an application, and now wait for some miserable looking thing to arrive, stand next to my beautiful show horses and say ‘hi! I am here and I am hungry!’…. I certainly have no business taking in another mouth to feed right before winter, stressing my family, friends and helpers, but it happened. What those people did was wrong, and we, as a community, are paying the price. Half an hour down the road, one of the biggest horse shows in the country is taking place. If you see something going wrong at a horse show, yet do nothing, are we all going to forgive you for it, because our tolerance for abuse is too high? And who is to judge what kind of abuse is tolerable and what isn’t since there are few guidelines for people to follow? Is it justifiable to shield yourself from all of the awful things, just because you can? I often wonder about the people that rise up in the face of adversity, and what kind of life they are coming from, affluent? middle-class? stretching the almighty dollar? Who are the people offering to help, and offering constructive advice to the future of our industry. The role models. Do we have enough of them? I would love some answers, I would love to see more people actually understanding the sport rather than critiquing anonymously, would love to bring education and courage to the table, and I get excited when I see other people sharing my same beliefs also encouraging change, promoting horsemanship, and I am going to going to refuse to let the vile people have too much power inside my head and give them more credit than they deserve. I hope to acknowledge their actions as speed bumps, not road blocks, and for the people that disagree that change is needed in the entire horse world, I hope you have good enough reason for thinking this way. You are going to need it. Studying conformation in the hunter world. Every year the conformation classes get smaller and smaller, as the performance classes grow and grow. If we intend to catch up on breeding in America, somebody better start planning ahead to save these conformation divisions. The direct connection between conformation and breeding should be obvious, the better the horse, the more we should breed for that type right? The regular pony divisions have kept conformation in the percentage of the judges score which could explain why pony breeding is stronger in America than anywhere else in the world. 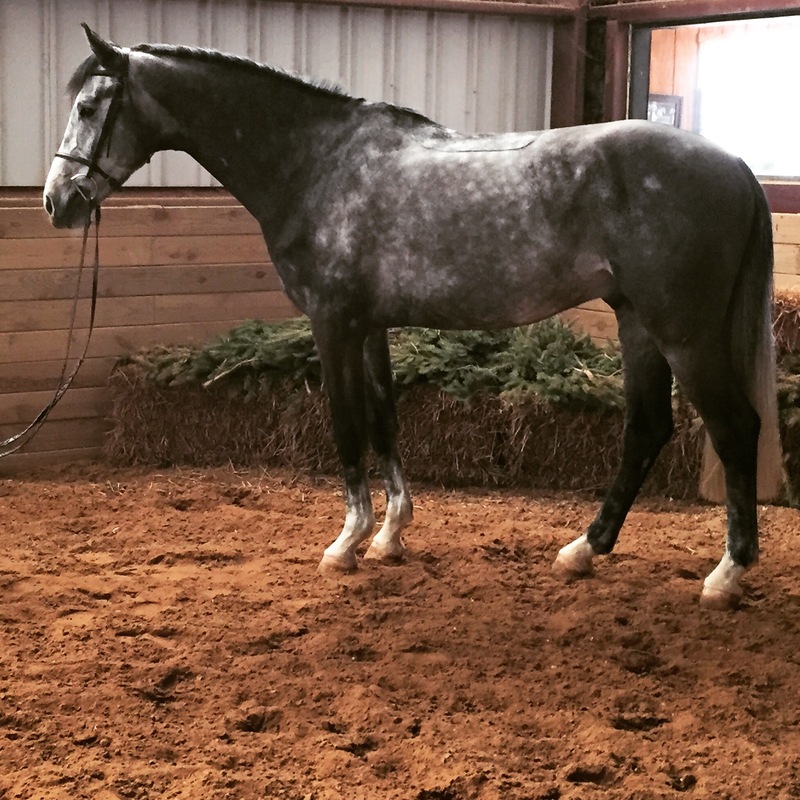 We have very specific guidelines on height, lines, performance, and seem to have a pretty good handle on producing nice hunter ponies for the Recognized show world. Just try to suggest removing conformation out of the division ponies and ten thousand pony people will stand up and start raising hell. lol. Horses, on the other hand, have fallen way behind. In the 1900’s, classes for almost every breed and discipline were offered – cob, corinthian, lady’s hunter, gaited saddle horses, heavy hunter, green hunter, you name it, you saw it. 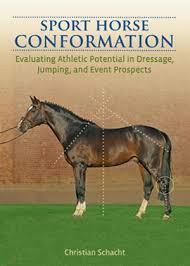 For EVERY class, the bare minimum percentage of the conformation score was 25%. 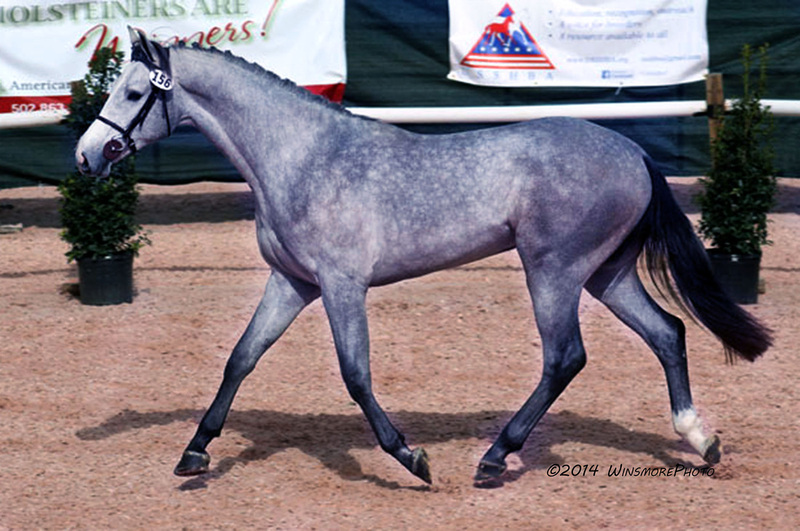 Thus, the education of how to breed to be the winner was addressed at every show. Now, in this millennium, there are TWO divisions that are judged on conformation?? How is this possible? We have done a complete disservice to the horsemen of the future because of our impatience. We want to get the show over early, we are bored watching conformation classes, it takes up too much time in the schedule. Yada, Yada, Yada. Well congratulations, now we have a whole bunch of people who don’t know why it is important to judge conformation. Since the ignorance runs so deep and for so long, we have a giant huge screaming gap of knowledge on how to breed horses. Every horse at the show should be judged on conformation, every horse should have a known pedigree, every exhibitor and spectator should be told the sire and dam of each horse, every publication should print that pedigree, and we should start that education right now before it is too late. Don’t tell me it can’t be done, this is America, it can be done. Peter Vischer was a well known writer for magazines across the country in the 1920’s and 30’s on all disciplines, and was quoted as saying “the business of racing should never be permitted to suffocate the sport”. The same applies today for horse shows. This mad business of horse shows has completely desecrated the sport, along with the understanding of horses, so we are all in it for the quick buck, not for the love, not for the future, not for the horsemen, not for the horses – we have even turned some show grounds in the South into playgrounds for the wealthy, which is fine, but we better have an idea about how to climb out of the ignorance, or we all will be forced to shop at Barney’s of New York for the next amateur hunter. You don’t think that is possible? They already sell our clothing, what makes you think they can’t sell our horseflesh? If the media is not placing enough attention on certain aspects of our sport, like conformation hunters, no one will know what to look for and applaud. Will we rely on word of mouth? Are people writing books about these winning horses? Will anyone read those books? Who reads a book these days? I thought it was all about FB, Tumblr, and Instagram. Forgetting or being too lazy to connect the dots (or closing that gap) seems to be common practice in the horse show industry, maybe because absolutely no one has any intention of ensuring some sort of legacy for future generations, or because we don’t have enough of generational riders, family businesses, thus we are stuck with more and more people that come and go in this sport on a whim and an inheritance. I don’t know, but there might be a way to start being less lazy, and more proactive with things like breeding and conformation. Why can’t we call back the top 8 pre-green horses to judge the conformation? 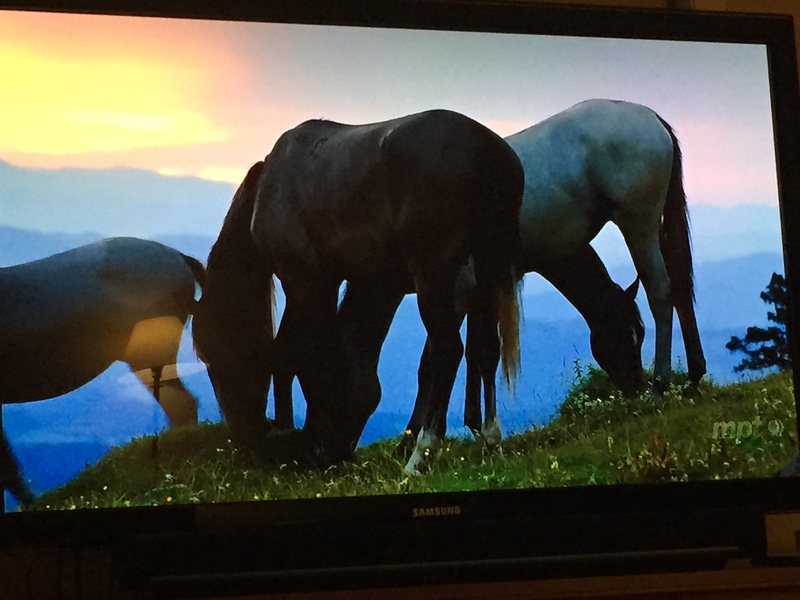 Aren’t those horses our future amateur and children/junior hunters? Baby greens get a bonus for top conformation? Is there any viable solution here? 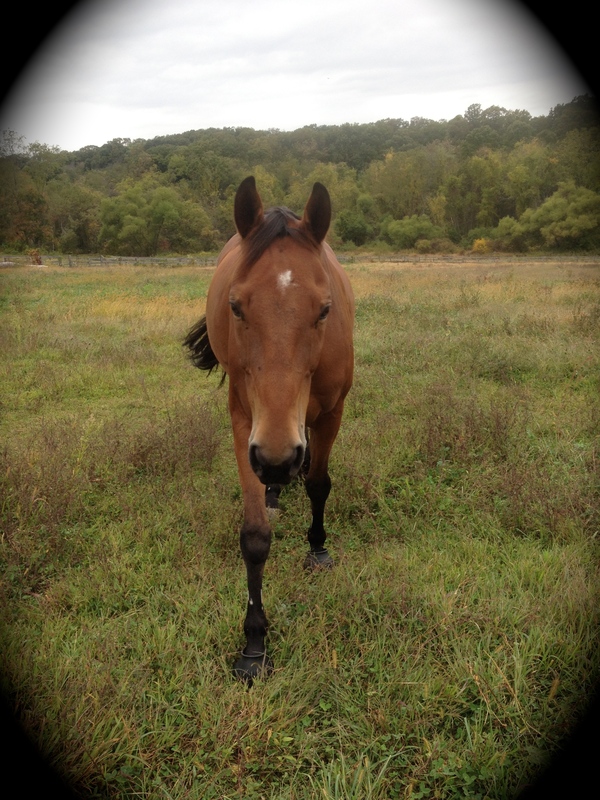 If riders/trainers end up focusing more on conformation, then maybe they can make better choices when purchasing horses. Or maybe they can make a better educated decision when that fancy mare retires from the show ring, and can have babies, match it up with an appropriate stallion, rather than donating it, selling it as a trail horse, or just leaving it to be someone else’s problem. Riders in Europe certainly have more knowledge from the beginning of a horses life to the end, why can’t American riders? Do we need to start small? One horse show? An ALL Conformation Show……Or maybe an unrecognized show circuit that sees the value and importance of conformation, and is willing to help the future riders look for flaws, or identify athleticism, and doesn’t mind to take the time to do something different – educate those exhibitors on a budget, yet in it for the love. I do vaguely remember in my lifetime junior hunters being judged on conformation once, somewhere in the country, but trainers raised such an uproar because the perfect course was usurped by a better, structurally sound horse, and some kid cried all the way home, that it was taken out. (also stinks of politics) I thought we were supposed to be making kids tougher for the sport, not crybabies, but I guess not. To solve that problem you could just make one of the classes a bonus class for conformation. But whatever, I am not suggesting change overnight, I just think a little education would go a long way. Make it fun, though, education is nothing without the fun factor…. 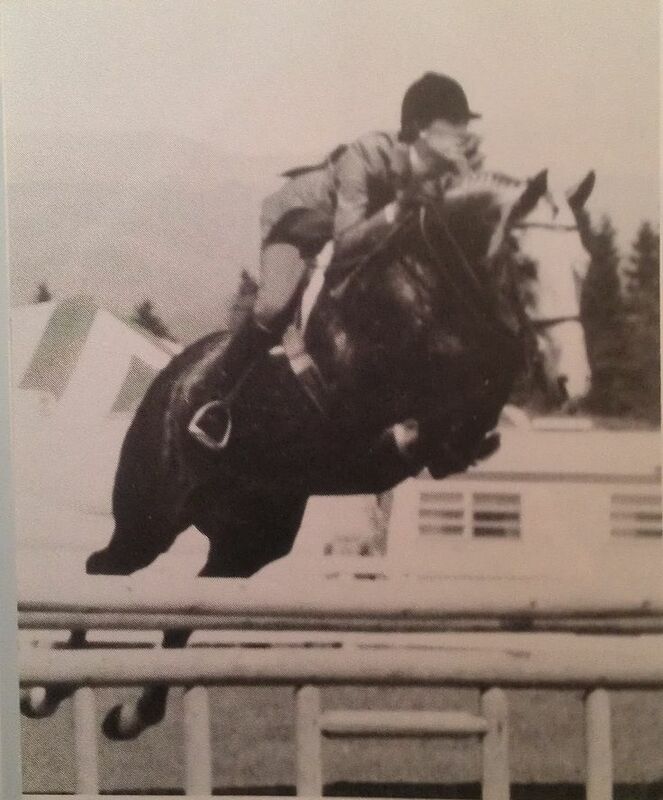 Elizabeth Solter competing the esteemed Conformation Hunter Rox Dene (by Aristos B), the ultimate legend, and what every breeder should strive for today. If nothing else, anyone reading this today should be able to spell CONFORMATION correctly in the future. It is hard to watch the big equitation classes these days. The riding has changed so much over the years, and although the riders are so accurate and beautiful from the shoulders back, the part that turns my stomach is the action from the shoulders forward. It is certainly not the fault of the riders, they are just extremely good listeners and students. This action comes directly from the instruction they are receiving. The trainers of today are telling the riders to do this. What are the main factors behind the new system of no release and elbows out? There are so many theories, but the main one, that is so obvious to me, is that the horseflesh has changed in this millenium compared to 40 years ago when the horses had loads more blood and carried the riders with more pace. Today, the scope that is needed for the actual courses has evolved to using horses that are bigger, heavier, slower, and stronger. 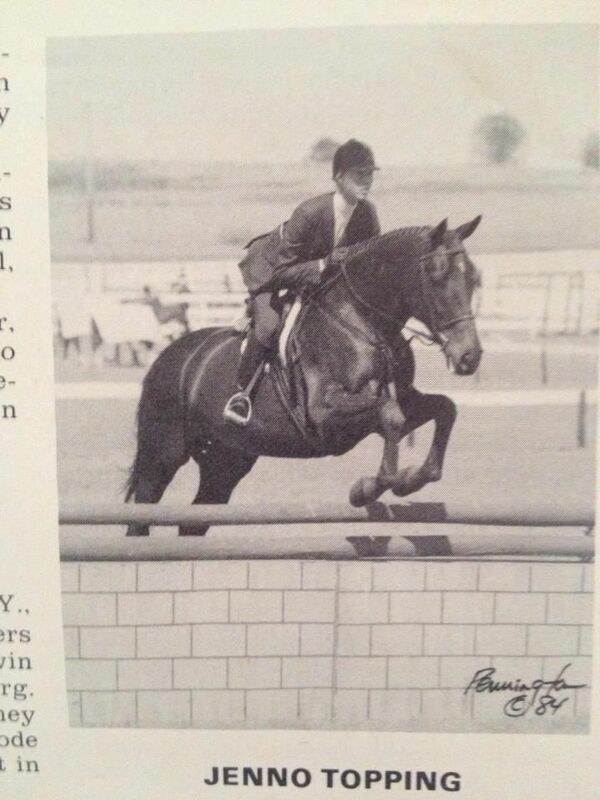 Ironically, the initial purpose of using Equitation classes was to develop riders for the Olympics, yet we are not using Olympic type horses for the Equitation, so I am not exactly sure what we are teaching, other than maybe rewarding an accurate eye, and good leg position. The horses used today are so much heavier, that if you actually were able to let go of their heads, they would probably all be landing on their noses. Harsher equipment would be necessary. Lord knows there is enough harshness in the life of an Equitation horse these days, so probably best to avoid any more punishing equipment. It is almost like the Big Eq is the end game, no longer the stepping stone. If we are still to believe that the riders today are going to be at the top level sport, maybe it would be better to copy the riders ACTUALLY RIDING in the top level of sport. The Big Eq is a highly lucrative business in this millennium. There is SO much money to be made on the actual good horses, it has skyrocketed to unbelievable proportions that even the Europeans are banking on it. Selling a good Equitation horse in Europe is about ten years of show fees for them. Who wouldn’t want to do that?? Here, the highly competitive schedule means more shows to attend, more lease fees to pay, more lessons, more of everything to get to the finals, that trainers can probably just run a business entirely around those classes alone. A small portion of trainers in the industry make really, really good money. Sadly, there is little point of turnaround now. You need the big picture for change, not the short term goal. If these riders are thinking that the release of the Equitation ring is going to work in the World Cup, they won’t get very far, but most of them going that direction are good enough to figure it out, so who really cares if what we watch at 3’6’ is wrong? 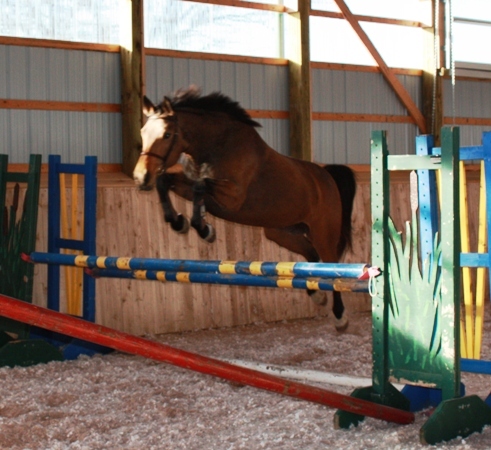 No horse in their right mind would jump like that at 4’6”, so it doesn’t really matter, right? Why suggest change now? Well, I think it does matter when you think of how the other trainers in America are going to teach their students in the future. Where do you think they are getting their information? It is on TV! We are actually televising hundreds of riders putting their elbows out and a backwards release. People watching at home could be seeing this and developing riders at lower levels to do the exact same thing, which is the domino effect in our industry. That domino effect is exactly how we got here in the first place, and now that we are in a more technically advanced world, it will manifest even quicker. There are only a few trainers left really pushing for a correct release, but their voices are getting quieter every year, while the Equitation Mafia is winning at the gate, cashing in on that end game. The course at the USEF Finals this year was beautiful and brilliant, it absolutely honored the outdoorsy hunt field type fences we are all supposed to have been exposed to growing up. It had technical lines to promote forward gaits to collected gaits, sweeping turns and roll backs, and great questions were asked. The horses against the course were a stark contrast to what we might have seen 40 years ago, however, and it was funny to see them try to look like field hunters. This may or may not have been intentional, a hint, maybe. All year long these horses are probably seeing jumper courses, poles, planks, liver pools, and whatever else in Ring 6 at WEF, that some of them even protested the brush at the end of the ring, ‘wtf is that greenery?? heart attack!’ funny. I wish we had video feed of the classes from decades ago, instead of relying heavily on folklore and pictures, but we don’t, we have to trust, that the riding was indeed different, it has indeed evolved. 1980 winner of AHSA Medal, Joan Scharffenburger. Outstanding photo here, I could stare at this all day. The belief that one is inherently deserving of privileges or special treatment. “no wonder your kids have a sense of entitlement”. So why does it seem like ‘entitlement’ works as a sort of poison in hunter jumper industry, wielding it’s slimy head every where you turn, with regards to income, welfare, work ethic, treatment of animals and humans alike, tack trunk placement, stall placement, sponsorship, venues, show schedules, purchasing of animals, commissions, or trophies…..It is so far ingrained into our sport, it is almost impossible to take it completely out of the equation. When a football player joins the NFL, he joins a team, is told to play by the rules, not get in trouble and score as many touchdowns as possible with his team. Occasionally, that sport is riddled with various entitlement issues, arrogance, cheating, horrible personal issues, but, in general, the game moves forward, and we all follow along each season, the Super Bowl acts as a big finish, we have a party, then we all move on to the next seasonal sport. The good players start foundations and give back to the community. In society, those same entitlement issues can be magnified intensely to things like gridlock in congress, international affairs, can lead to wars, etc. In being part of the human race, we even have given ourselves permission to desecrate an entire planet, destroy entire species, and now have our eyes on the next one, because it is considered our right to go stake a claim to it. Poor Mars, he stands no chance, leave that poor bugger alone already. In the horse show world, there has been a pretty dramatic shift which may have allowed certain entitlement factors to spiral out of control. 40 years ago, you wouldn’t dream of telling a Good Trainer what you wanted as far as horse showing and horse flesh, you were just pretty darn grateful and appreciative for the time of day from a Trainer. Maybe there were fewer of them. Today, in contrast, probably due to lack of enough tradition and education, or whatever, the shift of decision-making relies more heavily either on the wealthiest client owning the most horses in the barn, or the parents of children seeking specific agendas for their children. (Not just in the horse world, either – how may times have you heard of parents interfering with teachers at college or high school?) And it super tricky to keep every single person happy, when clients come from all different backgrounds. Most trainers don’t come from trust funds. NOR are they licensed therapists (no, really, get your own doctor). Most trainers in the horse business love to work around and ride horses, they probably grew up doing it, immersed themselves in it, then started accepting clients in order to stay in the business, and before you know it those same trainers find themselves wondering how long they can go without health or life insurance despite being in a rather dangerous sport. They stand in the check out lines in the show office on Sunday afternoons, trying to focus on tack room splits (with the small exception of advanced systems using credit card machines), hope the farrier, braiders and grooms all got paid, then get in the truck and drive an hour, or eight, only to unload horses, put them to bed, and worry if one of them isn’t drinking enough water. The next morning, while clients are sleeping in, at school, or at the spa, the trainers are probably: wondering about how to schedule the vet/blacksmith, order supplies, attempt billing, attend association meetings, scrolling through 98 pages of proposed rule changes for the USHJA, trying to figure out a way to fund that trip to the convention where they will be expected to have enough clarity to make beneficial decisions on the sport, get the leak in the truck addressed, find food, look at horse videos for clients, pay rent, and about a billion other things before Tuesday roles up and it is off to another show again. Staying in business without clients is not an easy option, and rare. This sport is made up of professionals showing during the week, and clients showing on the weekends. hmm. If trainers were like teachers, and went to school for eight years to learn how to deal with children in the classroom, and all the benefits that come with education, handling entitled clients might be easier. Obvi, this doesn’t happen. The tools are only learned along the way, and the emotional toll it takes shows itself down the road. Every professional in the horse show industry could write a long series of books on clients behaving badly. Refusing to pay for services rendered (stealing), turning stables in to kindergarten class when the tack trunk isn’t facing the right direction, stall placements (like your trainer would not feed your horse? ), making unwarranted demands on care, scheduling, showing, fake tails, yada, yada, yada, all seemingly justified behavior because they have brought in 6 horses for the trainer to have the pleasure of training, showing and the chance of being famous. It is too taxing, and not cool. Really good people have walked away form this sport because of the high price to pay from entitled clients. Is there a better way to balance the trainer client relationships in the entire horse show world? If Trainers were fairly treated, and difficult clients turned into supportive human beings, knowing that they are involved in a business, and contributing to the success of said business, would the ripple effect in turn, allow trainers to make better decisions for the welfare of the horses, and the welfare of the entire sport? If someone is kind to me, do I turn around and pay that forward? In a society like ours, how impossible would that be to achieve? Is seeing the big picture, the forest through the trees, actually that difficult? The long term expectations are tricky to manage, most trainers see themselves in the business for great lengths of time, whereas not enough clients think past the horse(s) they are riding right now, nor do they see their need to contribute for the long haul. If more clients looked around past the little stable bubble, recognized where improvements could be made in the entire industry, and came up with ideas and solutions, would we be in a better place for it? I hate that so much bad press is really damaging to the hunter/jumper world, not really inviting enough to the outsiders, or even younger professionals and I wonder if there are enough good people truly trying to swing the industry in a better, more positive direction. The owners and clients really need to step up and be better role models. When I see good clients I get all excited for that trainer, and think how LUCKY they are to have them! And then I get depressed, because that is actually not the norm in this business. Many people are NOT lucky enough to have good clients. Walking out on a board bill is not acceptable. It is like ordering a cheeseburger in the McyD’s drive through, and then not paying for it. So why does it seem like EVERY trainer has that story to tell? We accept it and move on, trying to forget about it, because making a scene is considered tacky and not going to solve anything, and most clients that do it know perfectly well the busy trainer isn’t likely to seek an attorney and rack up even more fees. It will be considered an unfortunate loss, and everyone moves on. Does EVERY individual in the horse industry have a moral responsibility to make the entire industry better? Yes, of course, why wouldn’t you want that for the next generation? We all deserve to be here riding, training, and showing, (responsibly) and aren’t you thinking about the legacy you leave behind? The weight of entitlement is not on the Client/Owner at all times either. It is with all people involved in sport. Show Managers as well. Show Managers play a big part in industry change. They need to be watched carefully like everyone else, contribute to the welfare of the sport, listen to the bulk of their exhibitors showing, somehow, and respond tho their needs.… No one should be exempt. If you see the shift in control changing and can offer constructive structure, by all means do so. I just picked up an instruction manual from a show stable that spelled out roles for trainers, parents, and clients in about thirty pages of information. I bet it works for them. Certainly made sense to me, what a great idea. They have decades of experience, saw the need for clearer communication and bam! – an in house manual spelling out teamwork, with all the expectations spelled out clearly, and positive feedback about goals expected. Maybe we need to start asking better questions. 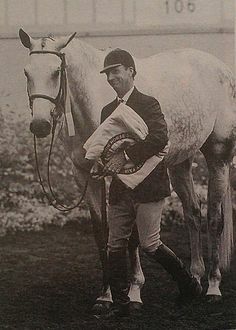 I do see a few amateur riders on boards of associations, which is super important, and cool, but even if an amateur is without a horse for a few years, can they be involved and included without judgement? just because they don’t have a USEF?USHJA membership? Healthy industries are healthy because of positive influence, and when we are just dodging the bad press instead of making changes, our industry will not really be healthy. It will merely be self-serving. The ‘giving back’ will fall on just a few shoulders. It is pretty easy to start small and grow from there. General treatment of people in the horse show industry, in my opinion, is pretty poor, and could stand some improvements. The person taking numbers at the in-gate is your best friend from now on, start acting like an adult, and instead barking orders, maybe even start with “Good Morning!”. Exchange simple details, like names. I don’t care who you are, how much or how little money you have, the simple fact that we cannot say hello to each other at a horse show is completely intolerable. And I am certainly no Susie Sunshine, I have been molded into the weirdo I am, have difficulties understanding many humans on the planet, my communication skills are substantially better with my horses, not my people, yet I still make an effort to show some manners, and a mass amount of respect for people in the same circus I contribute to. Maybe if we started with some simple ideas, like pulling people like McLain Ward into the picture promoting basic horse care (PICK OUT THE FEET!! I CAN DO IT SO CAN YOU!!) have Beezie Madden give every child on the planet encoragement to tack up his or her own pony, hereby making other aspects of horsemanship more popular again, we could watch our treatment of horses follow along the same lines? Why not? What’s the worst that could happen? We all slowly integrate and move forward as one healthy industry? We all become good role models for the future generation? We read more stories about wealthy clients helping working students achieve dreams? We are constantly looking to social media for that utopia, that good news, those selfless pictures and stories, when we could be creating it all in our own backyards. everyday. every week, every year. Gotta start small though, one tiny baby step at a time. Wouldn’t want anyone having a panic attack over so much change…. The Young Horse Show series finale is coming up in November of this year. I finally have a horse that can participate, as I have been following the progress of this series for quite some time. It was the brain child of Jean Yves Tola, an awesome French dude noting the need to bridge the gap between breeders and horse show people in America, and modeling the series after shows and approvals in Europe. There are 9 shows offered through the year, about one a month in various parts of the country, and unfortunately for me, the one I was finally available for in Pennsylvania has been cancelled (you can imagine my EXTREME disappointment) I was truly excited for this, and hopefully I will not miss the November Final (the first day is also a qualifier) in Tryon, NC Nov 6-7, 2015, which should be a big deal. Why is this series so cool? It provides a wealth of education on young horses for one. Watching horses free jump is almost a daily occurrence in Europe, incredibly rare in the States, yet it is vital to watch a horse in motion when you are considering how to rate athleticism for horses in sport, who to breed to, etc. 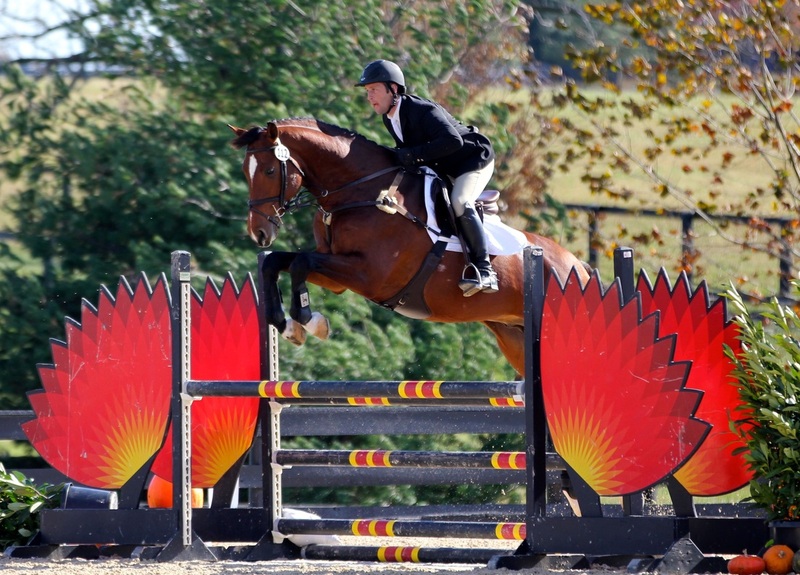 Without the rider, you can see an enormous amount regarding natural ability of a young horse (jump chutes are typically for 2-4 yr olds, although many people still request older horses to demonstrate jump chutes before purchasing). Secondly it connects horseman to breeders. Bridging that gap, so to speak. I know more breeders in Germany right now than I do in the States, and I intend to change that right now, starting with the show in Tryon. You have to do things for yourself, as there is no guidebook for this horse world, and this will definitely be one move I am sure will help me. I am not entering my horse in the jump chute class, but I am entering him in a flat and a jumping class. The entry blank asks whether your horse is considered a hunter or jumper (mine was purchased to be a hunter) so he will compete and be scored with other 5 year olds, and I guess his discipline will be taken into consideration. It looks as if athleticism is the key determinator on scoring, however, and well educated judges will be able to choose the most athletic winner. If you have a young dressage horse, there are classes available for you, too! I almost considered entering one just for fun, and may still do that in Tryon. Many people breed for certain disciplines, and promoting their stallions is really essential. All entry blanks require breeder information, and the lineage will be known for each horse entering the ring. Of course, I intend to blog about the entire weekend in November, as was going to be my plan for Coopersburg (the event that has been cancelled), I have spoken with Jean Yves at great length about my support, and to beg him consider me for future help (if he doesn’t already think I am a complete and utter lunatic), because I agree his idea is the idea for the future. It can work, it can really benefit the horse industry, and the cost is minimal. My cost in PA for the weekend was going to be under $250, (Tryon may be a little pricier because of the venue) but the contacts I could have made worth loads more. Is it possible to do Hunter Breeding on the A circuit in America for this cost? Do people join the USEF/ USHJA just to do hunter breeding and get discouraged from the costs? I think it is crucial for American breeders to be able to showcase young horses without putting so much pressure on their pocketbooks, they already have enough to worry about just keeping foals safe from their own stupidity, so why tax them even more?? Look at the website, give feedback, ideas, criticisms, I want to know. The Young Horse show series has been around for 5 years, but is still too little known or understood in recognized show circuit circles. There is no membership fee. It is open to horses bred here or abroad. Just remember, it is so hard to be one of the first people with an idea, and getting it off the ground often means not taking anything personally, but just going for it the Nike way. Maybe this idea of a horse show is not for you, but maybe it is of use to your neighbor. Think outside the box…….#ChangeTheHorseShowIndustry and bring on my birthday in November! I’ll supply cake if you want to tag along!! This is a yearling. His sire is Asca Z, Damsire is Lupicor. The breed is Zangersheide, the breeder is Margiet Limpens, and the owner is Aliboo Farm, Inc.
Random horse photo free jumping? ok no problem I aim to please…. Maybe this is a dressage prospect? 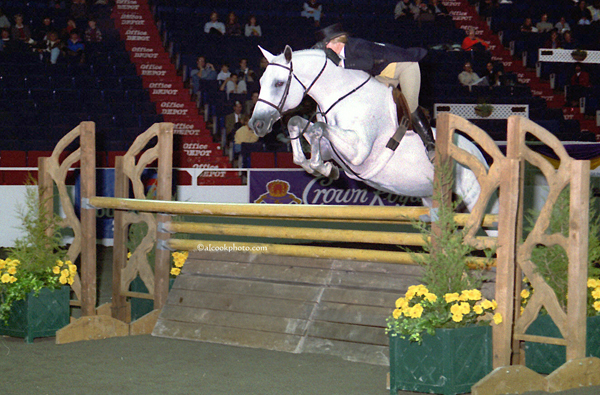 you decide…..
the 2013 Young Horse Show 5 yr old champion jumping under tack? 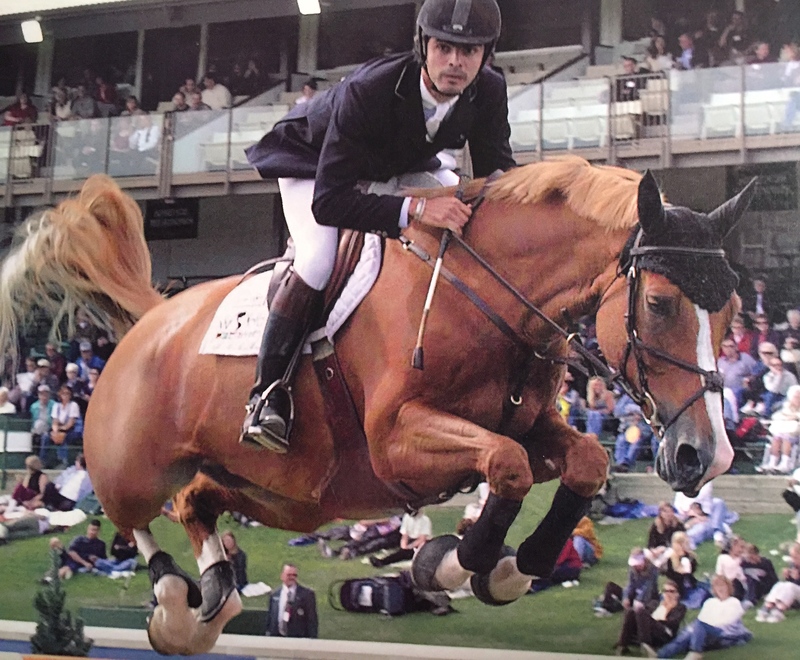 Iago JSF, Sired by Acodetto. Damsire is Balta ‘Czar, breeder is Jump Start Farm.